If you live in Illinois (IL) and you have or installed a new water garden or water feature in your yard, interacting with your water feature is one of the most important factors to getting the most enjoyment out of your water feature. Interacting has many definitions, being able to crossover the center of your pond, or get to the other side of your stream safely would be the first concern. Bridges are great for directing people to a specific point of interest, seating area, fire pits, pathways, or open grassy areas. Landscape & Garden Bridges are almost impossible to ignore in a landscape, they keeping calling to you to walk across to get to the other side. 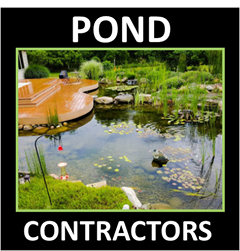 What you or your Illinois Pond Contractor Services member design for the other side of your bridge will determine how often the bridge will be used. Creating a "funnel" or pathway that leads to and from your bridge is key for optimum traversing. Bridges come in all shapes, types, and sizes. 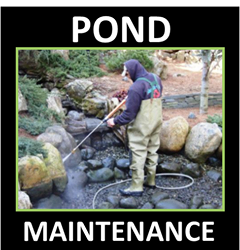 The materials used to create your garden pond or landscape bridge will also determine the maintenance needed to keep it looking it's best for years to come. Wood bridges will almost immediately need attention after the first year installed if it's not painted. 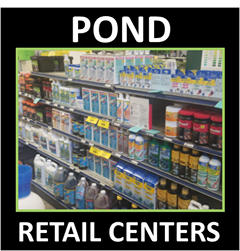 Clear wood finishes will need weatherproofing that needs to be applied without overspray or drips falling in your pond. These types of bridges will need to be easily removed and maintained and put back into place. Metal frame bridges with composite wood decking will last a long time as long as the metal is properly coated with paint or powder coating. You may need to occasionally powerwash the decking surface to keep it from fading in the sunlight, or collecting moss or dirt stains. Natural stone or boulder crossings will obviously last the longest without much needed maintenance. The possibilities and length will obviously be determined the materials used and in what fashion they are installed. As you can see in the photo above, this stone bridge is the main access from the deck area to the yard. This bridge is absolutely forcing people to notice the details of the stream and waterfalls it traverses. The sound of the waterfall to the left of this bridge forces you to look down to see where the water is coming from. The waterfalls falling to the right drop off and leave people feeling like they are standing at the top of your waterfalls, almost evoking a sense of vertigo as they laugh or giggle as they cross. Which Type Of Bridge Will You Decide On ?